Each class is two hours in length. 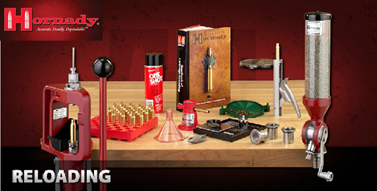 Choose from the following: Beginner/Intermediate - General, Advanced/Special Tools, or Long Range Shooting. Our Guest Instructor Bill Hassig will take students through the entire process of reloading ammunition, and much more. There is no need to bring a firearm to this seminar. Must be 13 or older to take this course. All of this is covered using the Hornady equipment and the distinct advantages of the Hornady hardware. In this class, we cover a multitude of the variables that help the reloader produce very accurate ammunition, which significantly improves accuracy over factory ammunition. This seminar covers many of the variables that affect the firearm's accuracy and how the reloader can influence the performance of the firearm by modifying certain dimensions to a specific firearm. We cover the advantages of some of the Hornady special tooling and how it helps the reloader accomplish this. 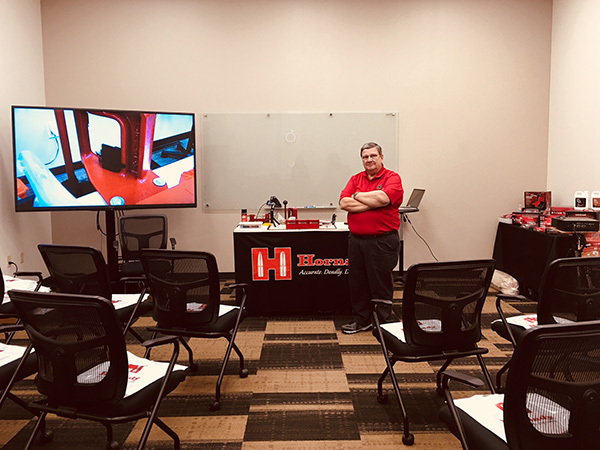 Special tools discussed include: case trimmer, overall length gauge, headspace gauge, concentricity tool, neck thickness gauge, and neck turning tool. Bill has over 30 years of reloading experience. He has competed in Benchcrest, Military Match, and Civilian Marksmanship Programs. In addition, Bill has 7 years of law enforcement duty. He enjoys hunting and shooting sports. His passion is reloading for accuracy and sharing this knowledge with others.